Even though I am not in Oregon, not with my Mom and Aunt, not by my Grandma's side, I am still waiting. 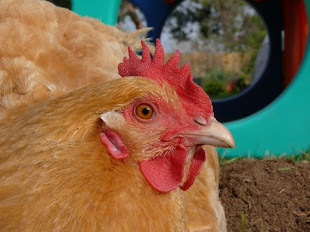 Keeping vigil, I think of it. I think of her, Eunice, Grandma, all the time, trying to recall everything. Yes, basically, everything... words, occasions, holidays, the smell of her cooking, important ideas or lessons she may have been imparting when I wasn't paying close enough attention. And I was paying attention. I did enjoy her company, her laugh, the way she made things fit and work, and come out beautifully. I was paying attention to all of that. And I bitterly resent that it is behind me now... that I cannot enjoy photographic memory, perfect recall, or simply have her in my life for always. And so go my thoughts, the emotional tug of war, pulling me between absolute grief, and acceptance. Acceptance? No, more like resignation, at best. But. Really... screw that. I've got forty-two problems, and justifying my existence and ways of coping, making myself invisible, will not be one of them. I do need something. Something to make or do, or think about. Something to show at the end of the day, something that honors the goodness and inspiration that I love and treasure about Eunice, Grandmother. 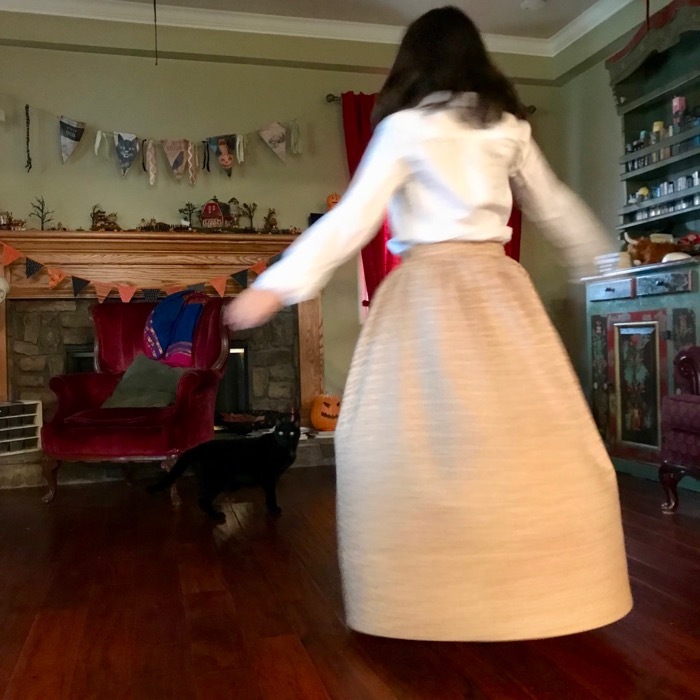 Before leaving, last week, I'd brought home fabric, with the idea that I could make skirts for Maria. I didn't want to wrestle with a pattern. 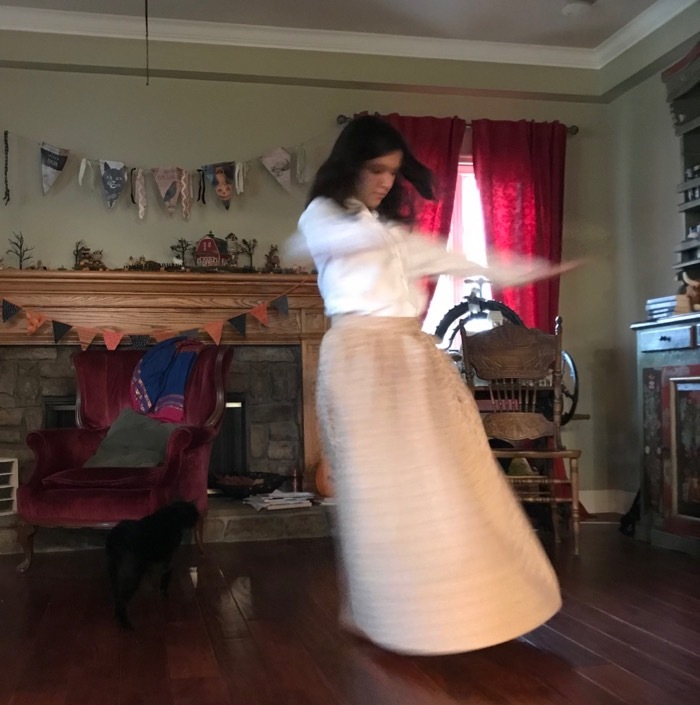 I wanted to take this "simple" notion in my head, which I was sure I could easily turn into a waistband-ed, buttoned, long, prairie-style skirt. 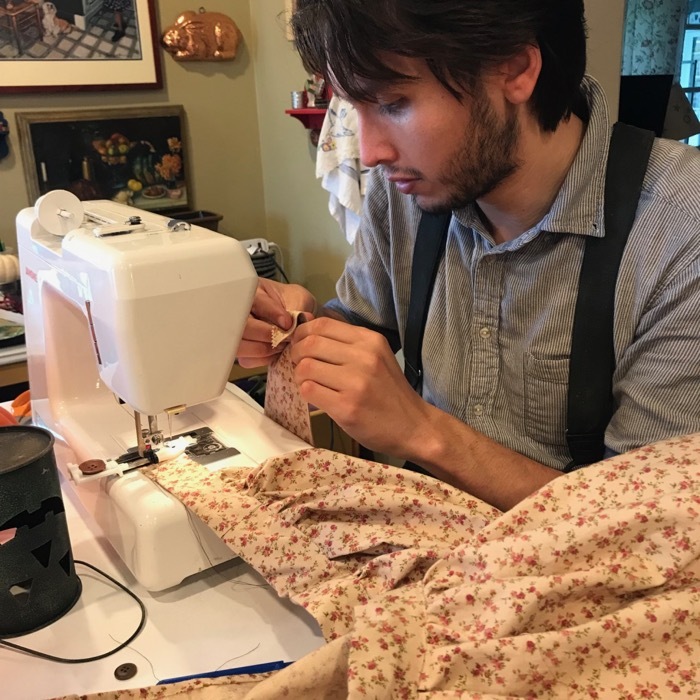 I was eager and excited for my scheme, for the feeling, that I know can be fleeting, that this was going to be a sure thing, sewing success. 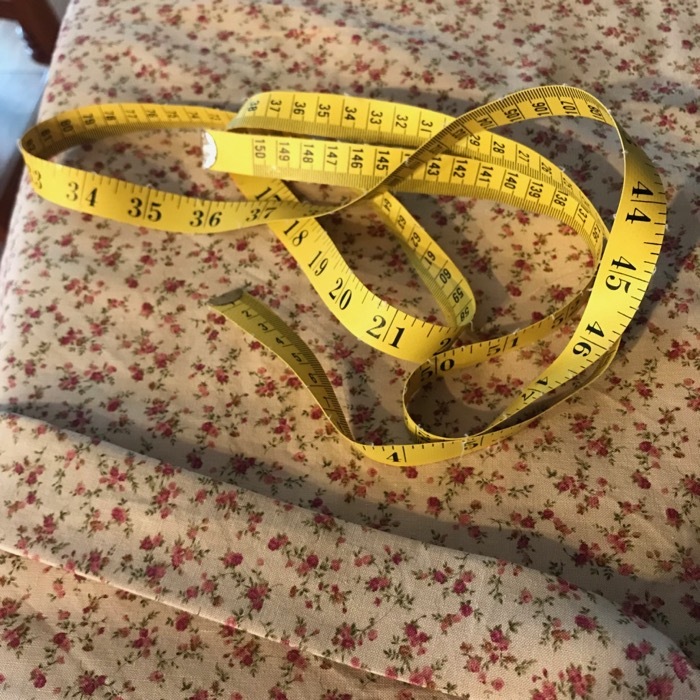 As I was packing to fly to Oregon, setting aside the already laundered fabric, I knew I would have to be deliberate and purposeful if I was ever going to make anything of the pretty prints, because the muse that inspires successful sewing is fleeting, and "the real world" is pressing and insistent. I dreaded the idea that I would give up, miss the chance to enjoy testing my simple notion. Yesterday, finally, I declared, "Today I will do something. I will make that skirt." And I added, "At the end of this day, I will have something to show for my time and energy." And I wish I hadn't said, literally, "end of this day," because as it turns out, it did take practically an entire day to execute my simple notion. 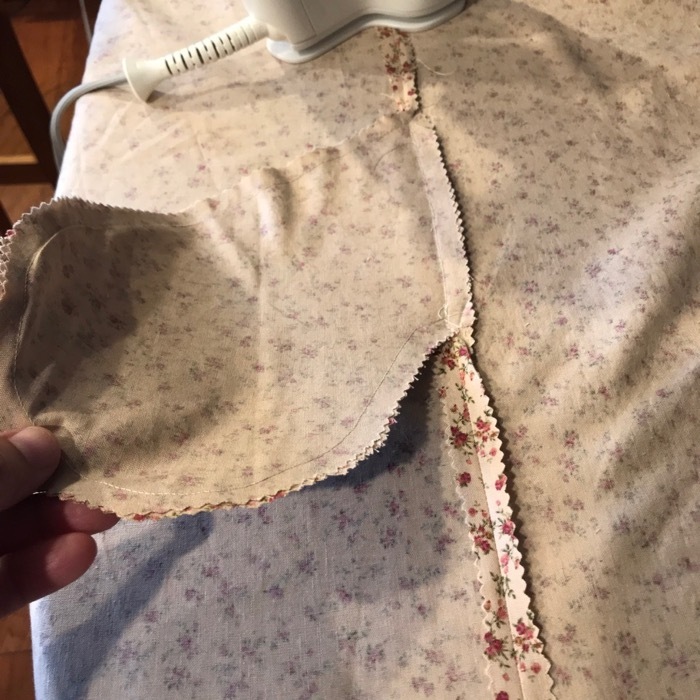 On the first seam, no less! 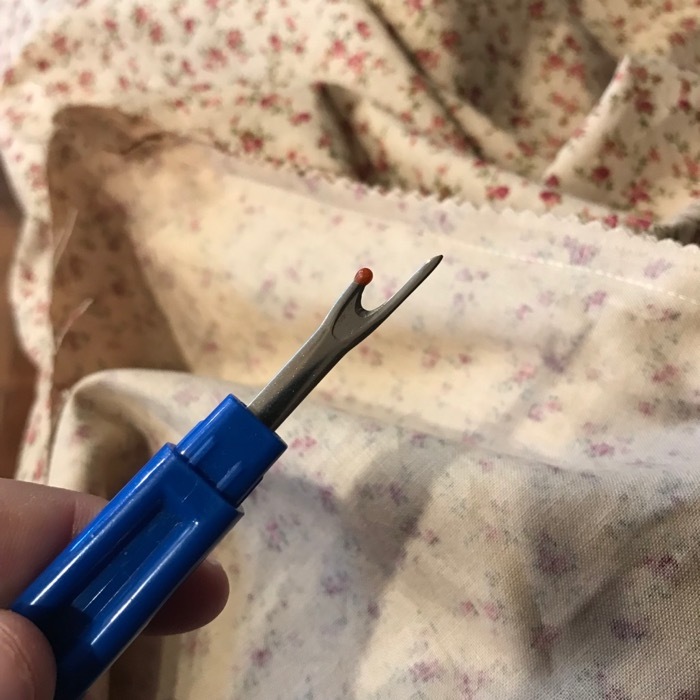 Out came the seam ripper, my old, familiar friend. I was pretty sure I could engineer a pocket, and even scanned through an online tutorial on adding pockets to skirts. I just love that confident, I'm being oh-so methodical and correct about this sensation, which so often visits me before I mess up. I closed the seam over the opening of the pocket which was hanging out like a floppy flap, wrong-side out. Don't ask me how I did this. Don't ask me how I got it right, the next time. But, I did get it right. And eventually, I got the whole skirt "right." 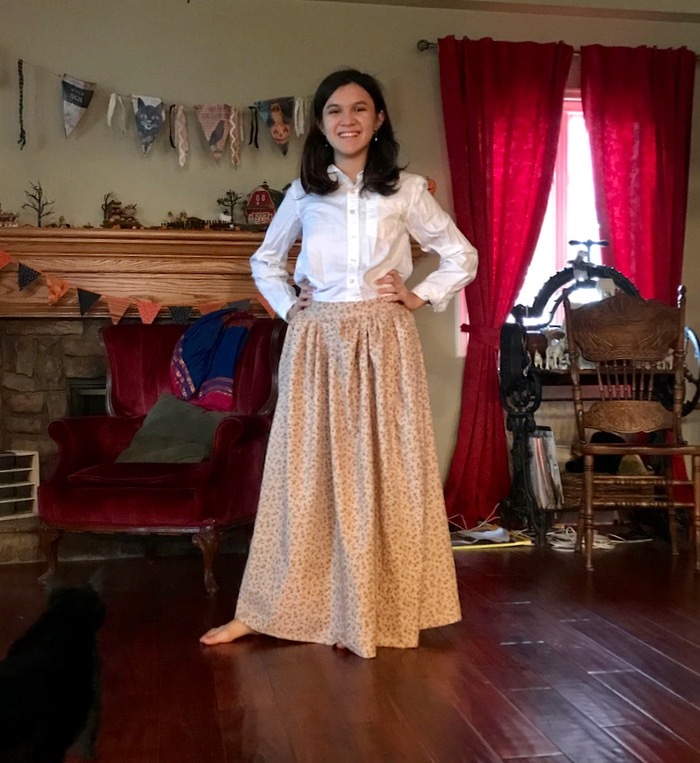 I could have sewn two skirts for all the do-overs and seam-ripping I went through. And I can't explain, either, how I could make so many mistakes, and remain so calm and composed. I was never flummoxed nor flustered, there was not a single f-bomb. It could be that I am accustomed to my haphazard methods. 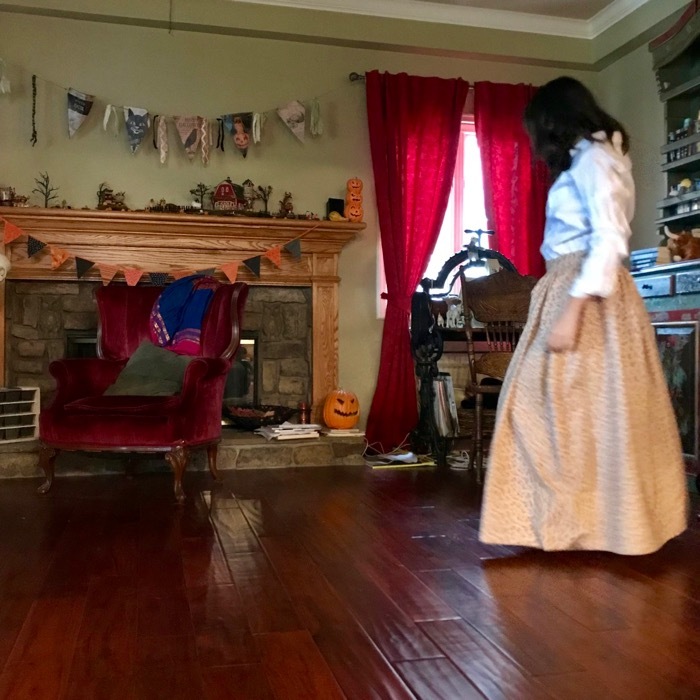 It could be that thinking of my Grandma, as I was, I felt content, resigned, happy to have something to do, something pretty, familiar, if challenging. Here's the part where I started to feel it. To feel like this was a pleasure. 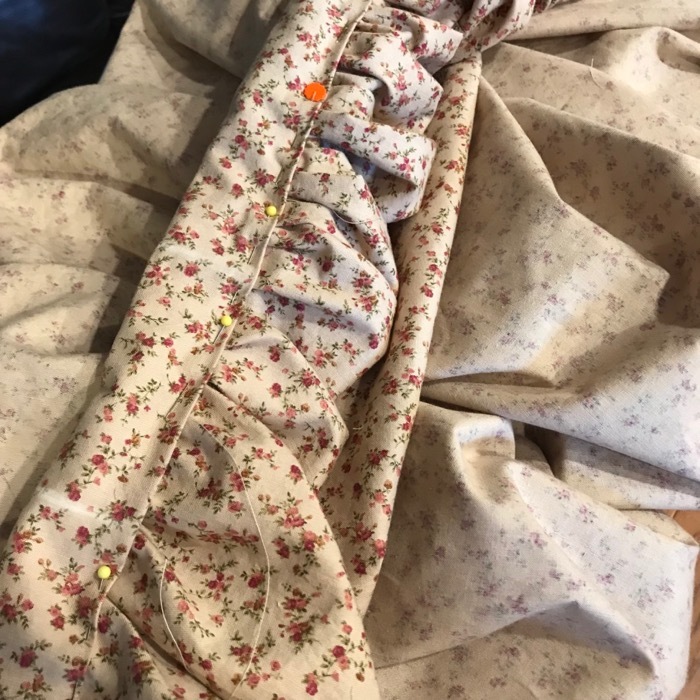 It still seems improbable, but hand sewing is a pleasure. When did this happen? When did the slow, repetitive, chore become a meditation, a happy pastime? I don't know, but likely it grew over time, with practice. Even understanding it in a practical sense, doesn't clarify for me why I should enjoy something I'd always considered dull, daunting. Now, with each stitch, my mind wanders and I ponder contentedly on what I am doing, who it is for, how I love them. If hand sewing were athleticism, I would be a triathlete, a distance runner. William knows buttonholes. I can do it... but he's done more of them, and he kindly obliged me, making first the one I asked for, which was wrong, and out came the same ripper, again. Again. And with the same grace and calm, he made a second one, and it was correct, the way he suggested to begin with. Lovely. We got through that, and I sewed the button on, then realized we needed a hook and eye for that extra bit of waistband length. 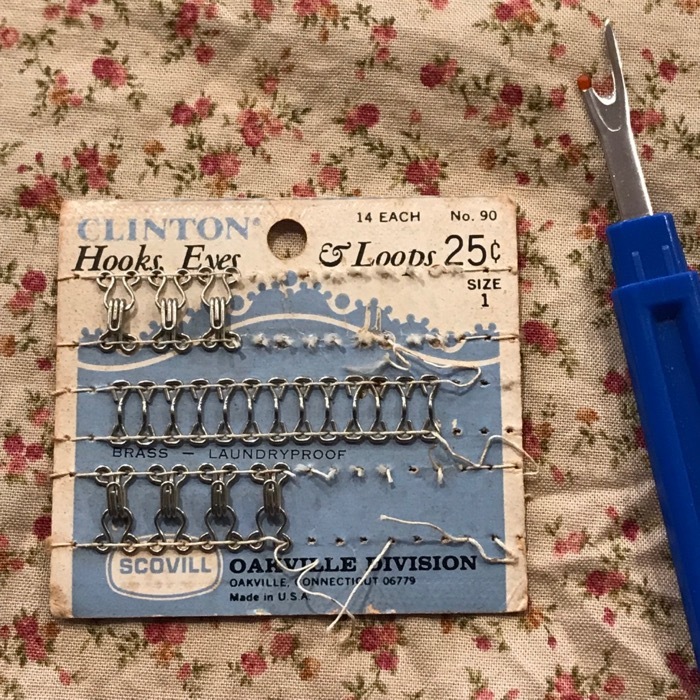 Someone has to agree with me... vintage sewing notions are charming. Right? Does anyone know what the middle row are for? I did it all wrong if I should have put those to use. The hem is a 10" fold. 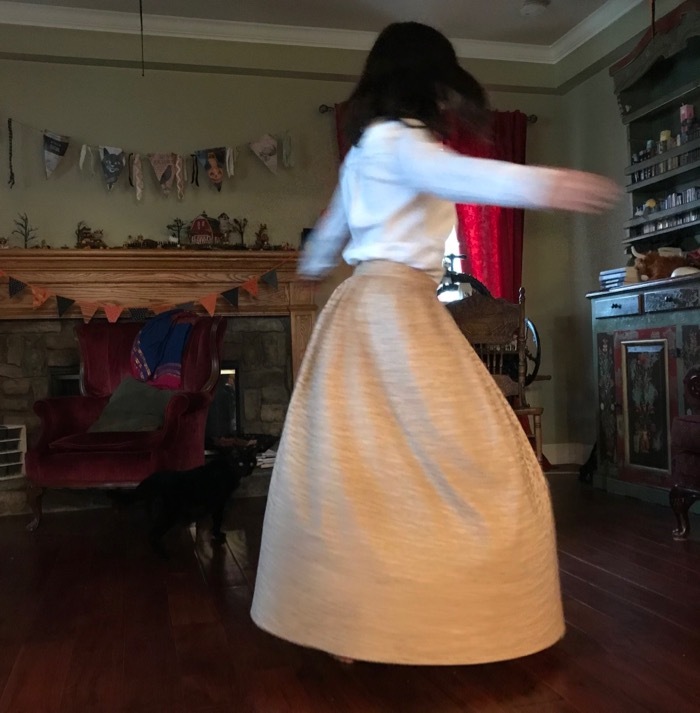 I'm sure she won't grow ten inches, but the weight of the heavy hem gives the skirt a nice fall. I still haven't had any candy. In a moment of weakness I put a Milky Way in the freezer, and a Snicker. That's a trick I learned from Handsome Eddie... chocolate bar in the freezer. I was seven or eight when he took us into his garage, offered us frozen Snicker bars, and I marveled at the patience, the foresight to delay gratification, to wait for a treat to freeze, to trust it wouldn't be lost. My favorite parts are the gathers at the waist band, and hearing it rustle when she walks or twirls. Grandmother was one of the women that taught me to sew, and that is a day vivid in my memory, thankfully. She was patient, and insistent. She encouraged me to see the worth of doing things correctly, to not sacrifice quality for quick work. It wasn't about being 'perfect,' but more of an idea of making the best of what you know, what is possible. 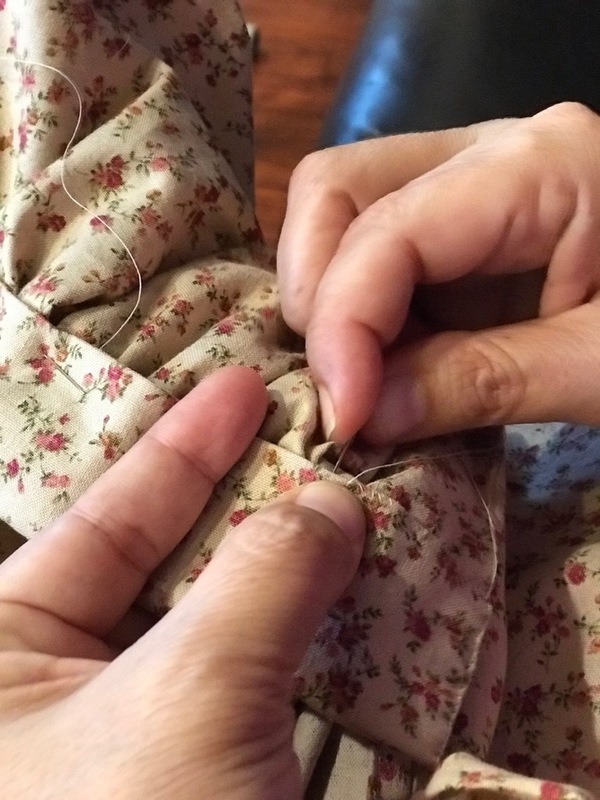 When sewing, even when I don't know what I am doing, I strive to get it right, to make it pretty, worthwhile. It took most of the day to make, but I was so happy to have something to show for my time and energy. It could have been laundry, or paperwork organized, it should have been "important" stuff. But I am in a hard place, and I need something to help me get through this.